One of the latest crazes hitting the wedding scene is the photo booth. They are creating special memories for your wedding guests, you will have them cracking up with laughter all night long with different looks from photo booth props. 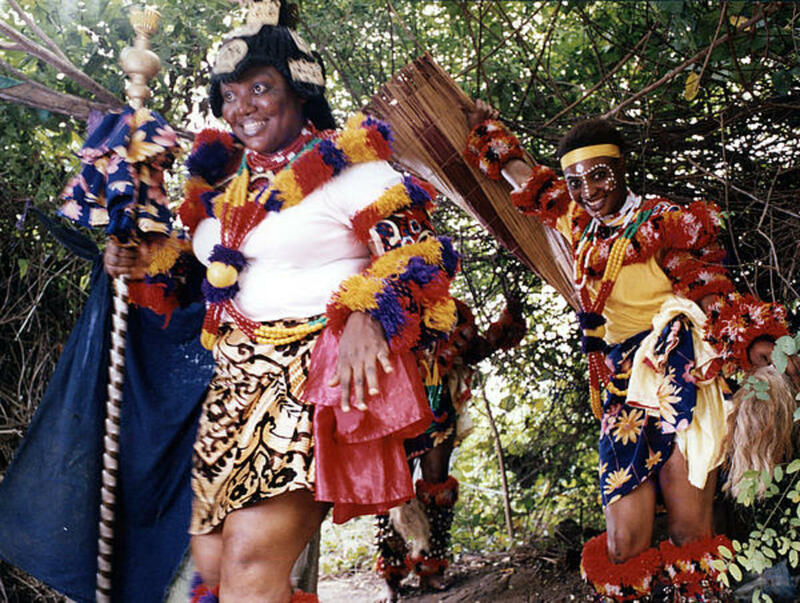 You will create some zany memories with wacky photos of family members and special guests seeing them in poses not seen before. Photo booths that you would see at carnivals, fairs, and major shopping malls have suddenly become a big hit at weddings. Before deciding on leasing a photo booth for your wedding reception, you need to okay it's usage by the venue you are using. You also need to have a strategic spot so the photo booth is visible from the main reception area, if it's visible to your wedding guests it will likely receive a lot of attention, if it's set up a ways from the wedding reception, the likelihood will be less that wedding guests will use it to take photos. You also want the photo booth to be situated in a non high volume traffic area, else the photo booth will block people traffic trying to get by. For outdoor weddings, the photo booth could be situated in a wedding tent, or you could lease an enclosed photo booth or build a background area to use one. Should the wedding reception be in an estate house, you could situate the photo booth in an office, nearby extra bedroom, garage area, or wide area hall. Before leasing a photo booth you should do some research. Any photo booth you plan on using, check it out in person first. You should check out how the photo booth operates, you should check out if the wedding vendor is reputable, the photo booth should not be too hard to set-up and you want to check out the photo booth prints, the prints that print out are good quality prints and print out in a nice format. You should also check out the photo booth props, are they good props or can you provide your own props in order to get zany pictures. If you check out photo booths from a number of different companies, you often will find photo booth operations come out differently, cameras used may be different, the booth designs different, the timing of the photos are different, the print and formats are different, the background imaging is different, and the costs are different. All these differences is why you want to check out each photo booth personally. You want to get the best photo booth for the price you can afford. The better photo booths tend to be ones that are relatively easy to cart around and to set up, they feature a private screen and often have aluminum framing. 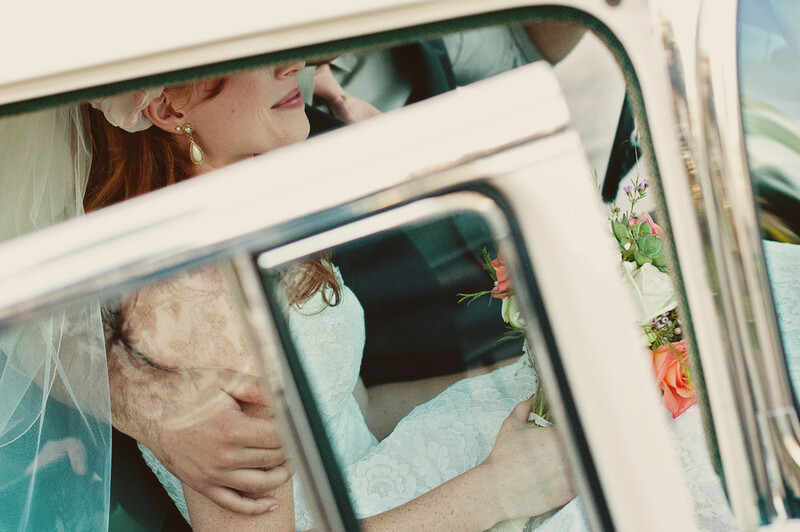 You don't want to lease a photo booth that's cheap and cheesy for a wedding. 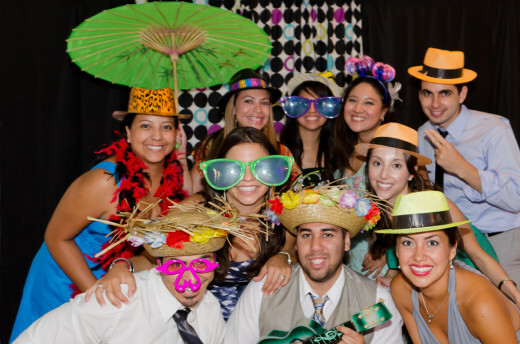 A good photo booth can be leased for around $1200, most can be leased between $700 and $2,000. Photo booth companies have become so popular that most of your major cities have photo booth companies and many photographers, videographers and disc jockeys now provide them in their business. If a wedding vendor offers a photo booth, they will usually advertise them in their business website. 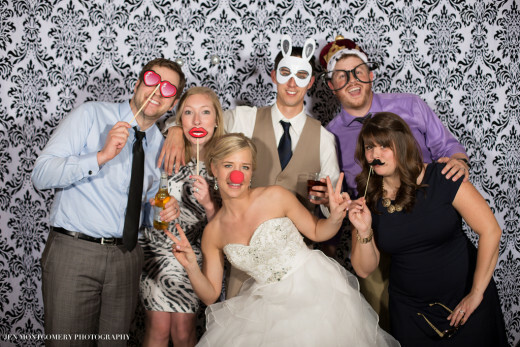 Be sure to check out a number of photo booth companies before deciding on which one to go with. Review all that the photo booth company contract to know what is included and excluded in their fee structures before deciding. Most photo booth companies provide about 4 hours of usage. Some companies will provide an attendant and some leave instructions on how to operate the photo booth. Often at weddings, the photo booth may be in operation for the first two hours of the reception, then it will sit idle for the formal dinner part of the reception and be back in operation for the final two hours of the reception. Often is is recommended to have the photo booth be in operation for the pre-reception cocktail hour and then open the photo booth back up after wedding guests have taken a few drinks and let go of their inner inhibitions and you may end up with great zany photos that your wedding guests would not normally take. It is really important when you meet with a photo booth company, really understand the fee structures or you may end up with surprise charges. For example, some photo companies charge a lesser fee while the photo booth is sitting idle and each company has their way of charging for photo booth prints. Be sure to understand the fee structures before signing the dotted line of a contract. Be sure the photo booth is located in a visible location that is not in the way of activities and traffic. The bride and groom should take a stint of taking photos in the booth as well as bridal party and family members, this will encourage others to participate. Have the disc jockey, wedding musicians, or wedding emcee sporadically promote wedding guests to get pictures taken for the photo booth and to take the picture as a wedding favor and to create a good photo for the wedding couple to possibly use in the back of their wedding album. If the photo booth company does not provide an attendant to run or monitor the photo booth, maybe you can request the wedding photographer, disc jockey, or wedding planner to oversee it's usage to insure individuals are not hogging the machine, help guests select props, makes sure everyone that wants gets a photo, and no one runs off with any props. Jumbo Sunglasses - Choose from 4 Different Colors! Many photo booth companies have different designs for the photo booth prints. Many companies will incorporate the wedding couple into the design of the print, the print somewhere may include a photo of the wedding couple or may include the name, date, and reception location of the wedding. They may include the initials of the wedding couple or let the couple create a design with the border of the print. Many photo booths are set up to take duplicate photos, one photo for the wedding couple, the other is a wedding favor. Some booths have a unique picture format, but many photo booth prints show four duplicate pictures going down the page. Sometime after the reception, a photo booth company will review with the wedding couple the pictures that they want and will provide a download of photos for the couple to use for an online wedding album or download photos to be used for a couple's wedding website or provide prints for the couple's wedding album. Many companies provide photo booth props and some will only provide a few. Next to the photo booth is is a good idea to provide a prop table to encourage zany and memorable pictures. 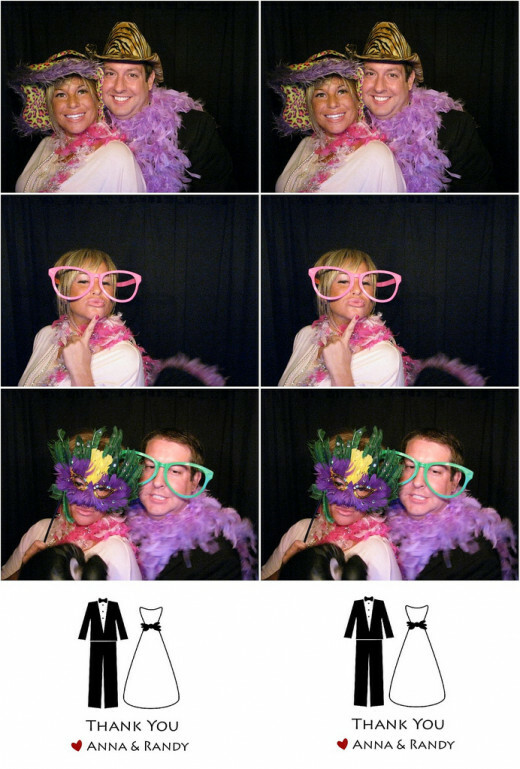 It is often found, the more props provided for the photo booth, the more successful and more pictures are generated from the photo booth. Try to think of providing props your wedding guests will enjoy. Some photo booths ideas include tiaras, bridal veils, bridal bouquets, bridal jewelry, pearls, boas, mardi gras masks and beads, mustaches, crazy and over-sized glasses, bow ties, necklaces, scarves, gold medals, large lolly pops, Hawaiian leis, halos, angel wings, crown of flowers, Diamond ring, large stuffed animals, pirates garb, clown nose and hat, lady's wig, dry erase chalkboard or marker board, empty antique picture frame, apron and whisk. vampire teeth, pom poms, toy guns, star wars saber, hanging spider, pipes, cigars, and lady's long cigarette. Hats are very popular to use at photo booths. Some hats to use include funny hats, wizard's hat, cowboy hat, construction helmet, viking hat, nurse's cap, Santa Claus hat, devil's horns, top hat, chef's hat, fireman's hat, policeman's hat, lady's derby hat, wedding Fascinator hat, western hat, Indian headdress, Arab turbin, king's crown and scepter, witch's hat, straw hat, fedora hat, outback hat, Disney character such as Mickey Mouse ears, captain's hat, Marine's hat, pilot's goggles, scuba snorkel and goggles and bride and groom baseball caps. 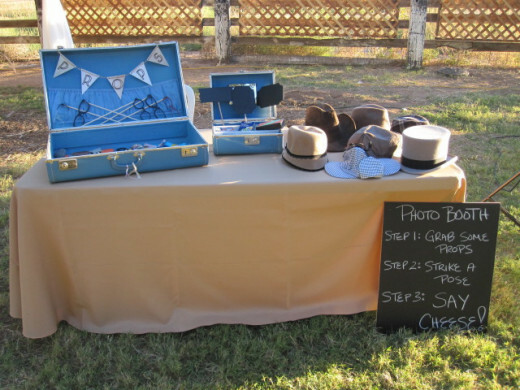 There are a few companies that will enable you to create props for your photo booth online. Props can be printed and attached to cardboard or felt and many of these props can be attached to dowel sticks, pencils, popsicle sticks or tongue depressors. Some of the websites that can help you create photo booth props include "buildyourbigday", "foxhollowcottage", "pixilatedphotobooth", "bespoke-bride", "getcreativejuice", and "accenttheparty". Put the keyword in quotes followed by the words "photo booth props" into a search engine which will pop up the website that will provide instructions on how to create your own photo booth props. Encourage all of your wedding guests to get photo booth photos. Get the bride and groom to take their turn, followed by bridal party members and then get all your wedding guests to take their turns including the young, middle aged, and senior wedding guests and get them to take zany photos. Be sure someone is there to monitor and help out with the photo prints and to watch over the photo booth props. Make sure your children are not exposed to hanky panky. Talk to the photo booth company to discuss exactly what you would like to get from the photo booth and see if they can accommodate you.